Batcave Toy Room - Better Living Through Toy Collecting: Who Moved My DC Comic Book Heroes? Who Moved My DC Comic Book Heroes? 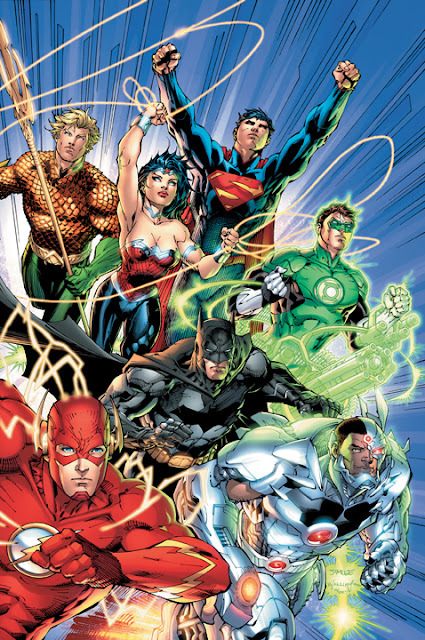 There has been some stirrings going on in comic fans utility belts lately since DC Comics announcement of the revamping of their super hero characters. Some favorable and some not. This announcement and pending change to our beloved heroes has reminded me of the book "Who Moved My Cheese." If you find yourself dismayed by the whole thing remember these points from the book. Change Happens - They keep moving the cheese. Hey, forty years ago, Batman moved from the Batcave below Wayne Manor to the Batcave under the Wayne Foundation building and back to the Wayne Manor Batcave. A change of scenery and a new pad is cool. Anticipate Change - Get ready for the cheese to move. Remember this has all happened before and it will happen again. Don't get attached. Monitor Change - Smell the cheese often so you know when it is getting old. Aren't you excited to see what changes are in store for your favorite super hero. Adapt to Change Quickly - The sooner you let go of the old cheese, the sooner you can enjoy new cheese. This isn't an April Fool's prank people. This is going to happen. So, the sooner you get over it the better. Think of all the new adventures. It worked for the J.J. Abrams new series of Star Trek movies. Change - Move with the cheese. Go with the flow. Are you really going to give on your beloved comic book series? Enjoy Change! - Savor the adventure and taste the new cheese! You may like what's happening with a whole new character. Be Ready to Quickly Change Again and Again - They keep moving the cheese. Refer back to point #2. Writers move on, Illustrator do too. It's bound to happen eventually. Be like The Flash and just run with it. I am excited to see what happens to DC's line of heroes. Aren't you? Just think of all newly designed toys. Thanks-Colin. Like you always say, "Have fun with your life."